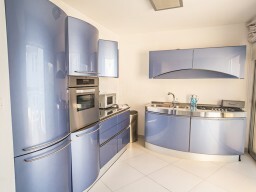 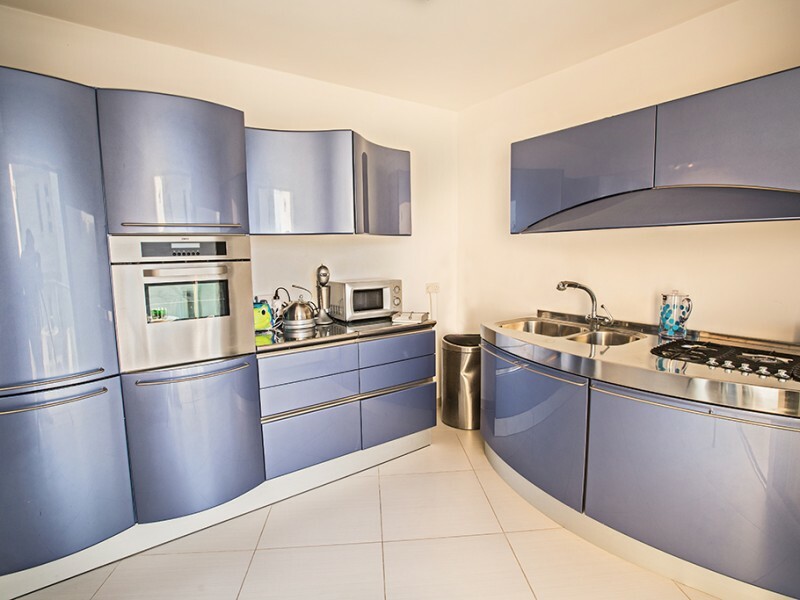 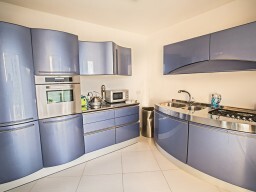 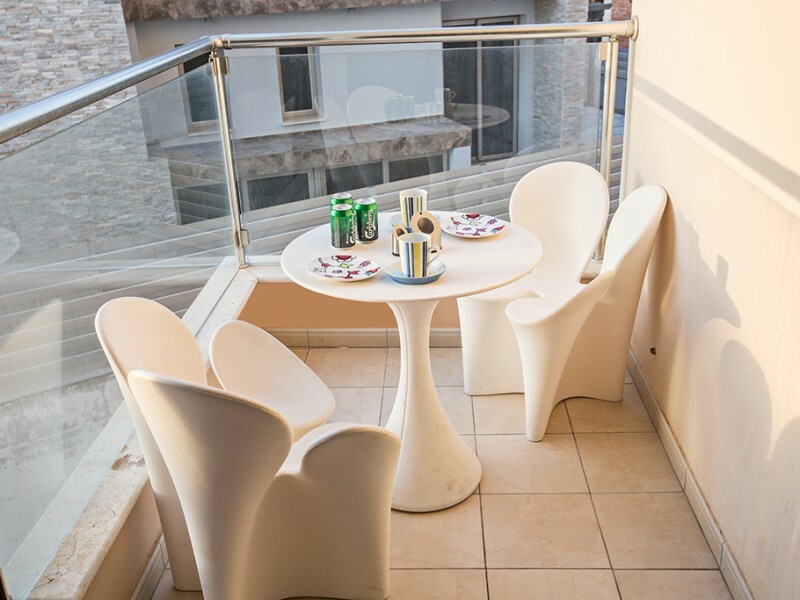 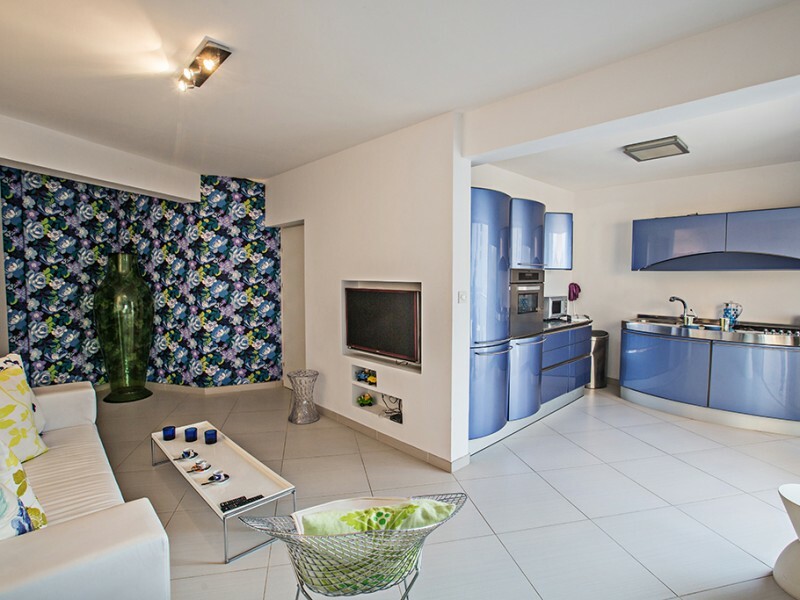 This stylish 3 bedroom apartment located in a complex on the first line, just a few meters from the popular sandy beach (Fig Tree Bay) and all the tourist attractions of Protaras area. 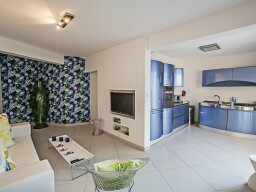 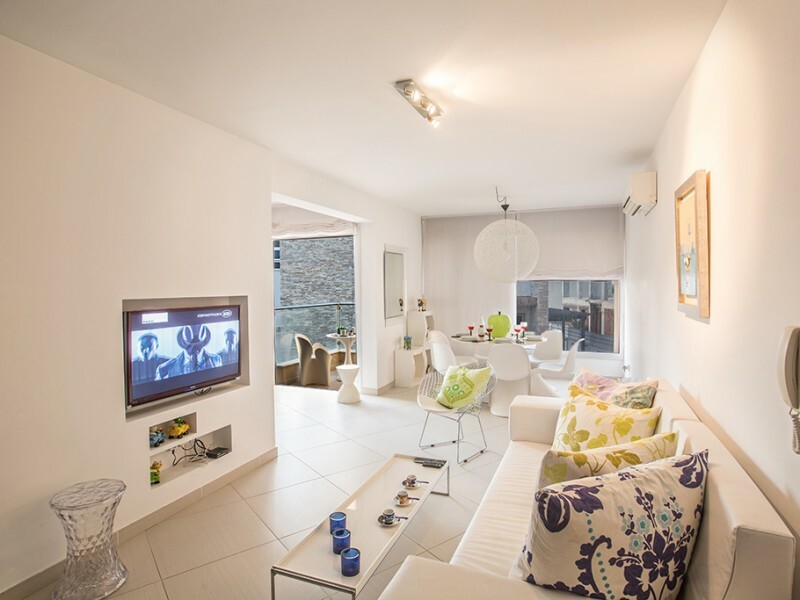 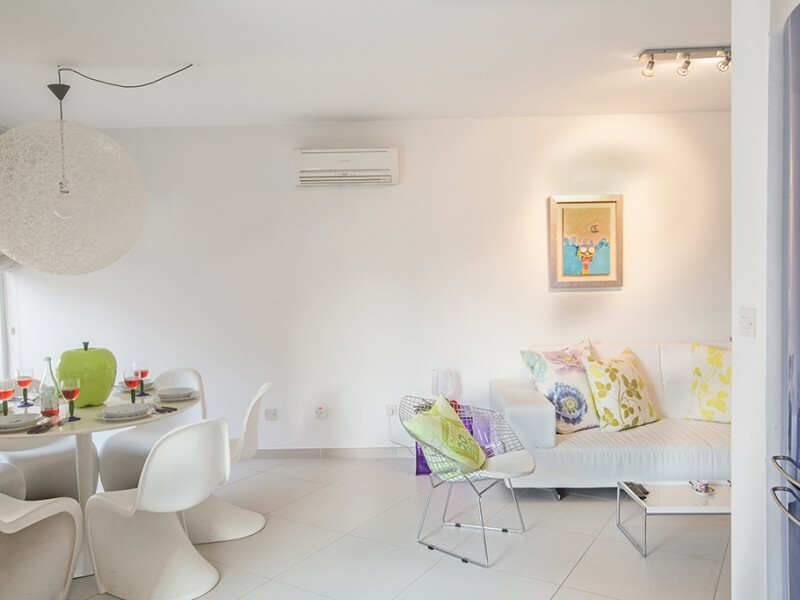 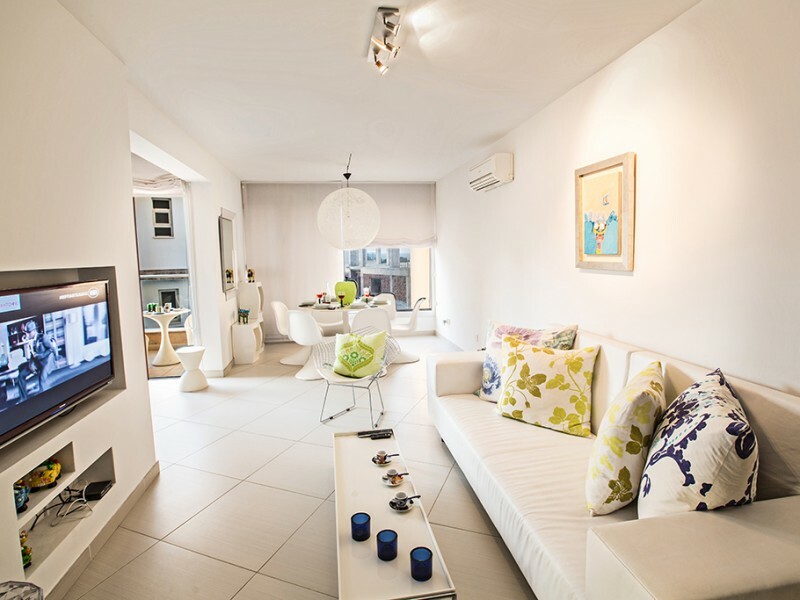 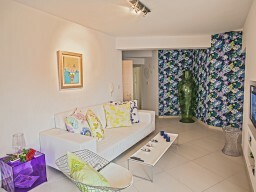 The apartment has a spacious open-plan living room, dining room and kitchen. 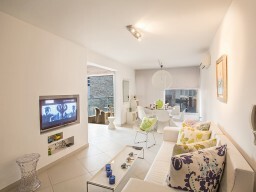 The living room leather sofas, a wide-screen TV with satellite channels and DVD players. 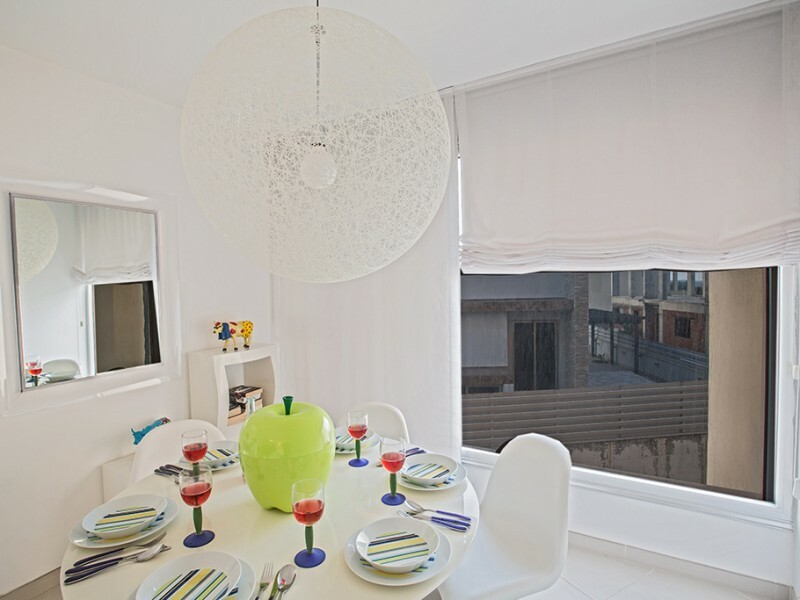 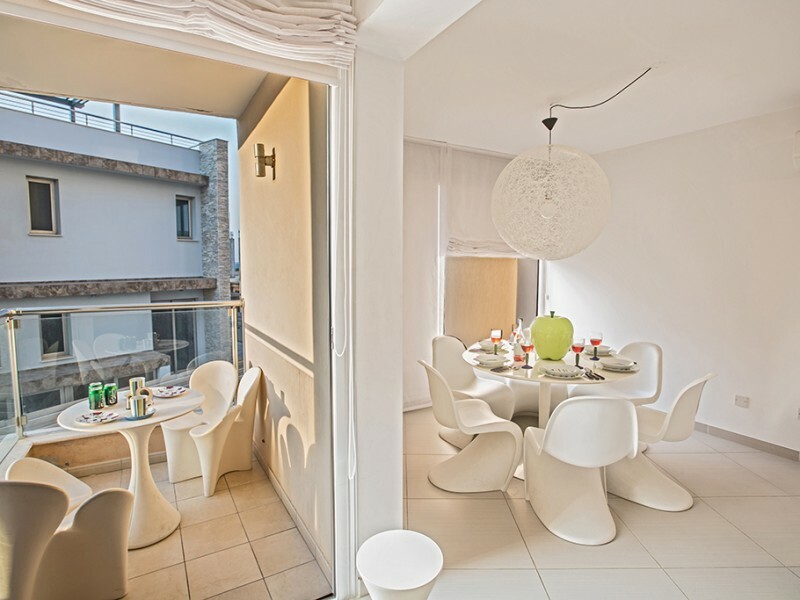 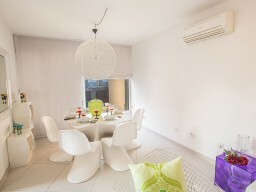 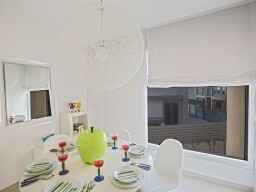 The dining area has a dining table for 6 people and a fully equipped modern kitchen. 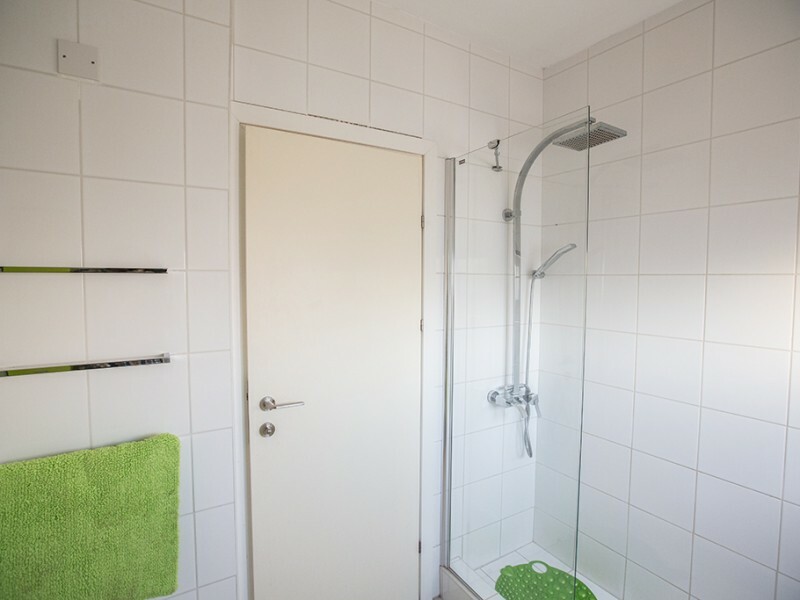 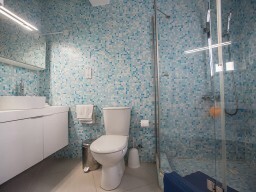 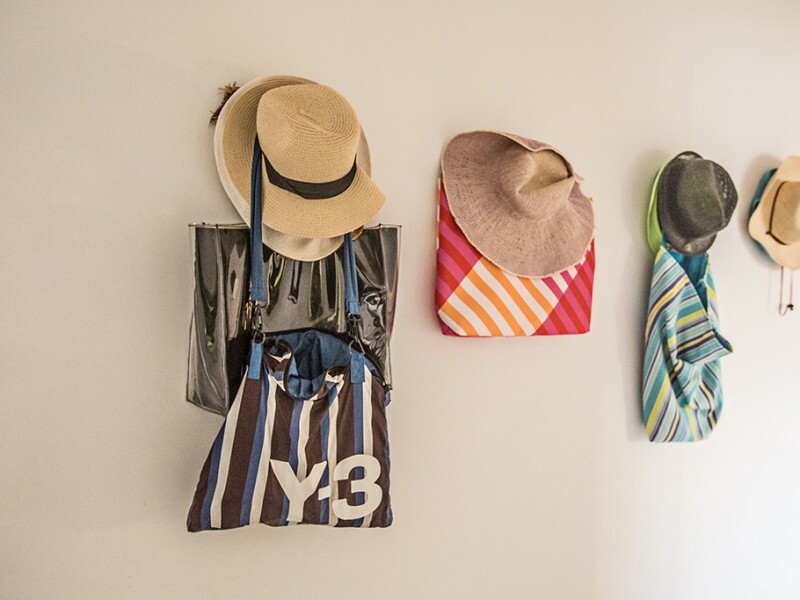 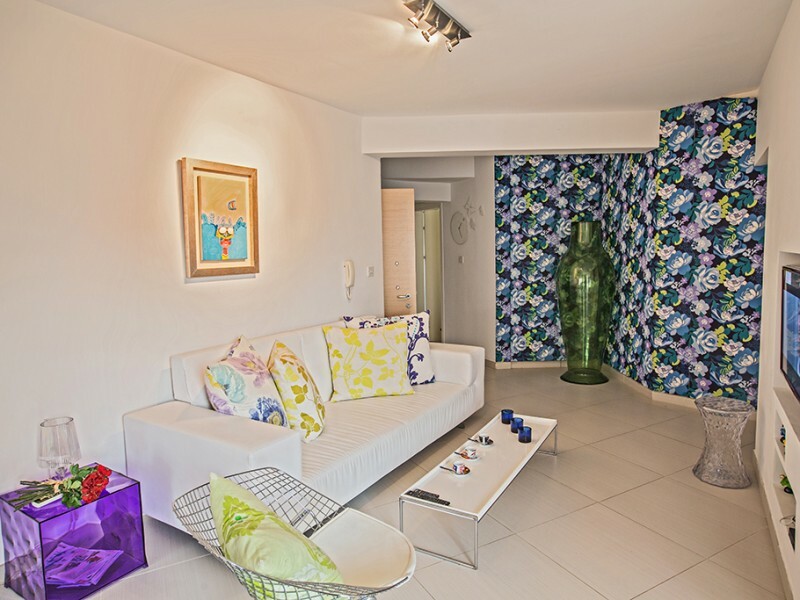 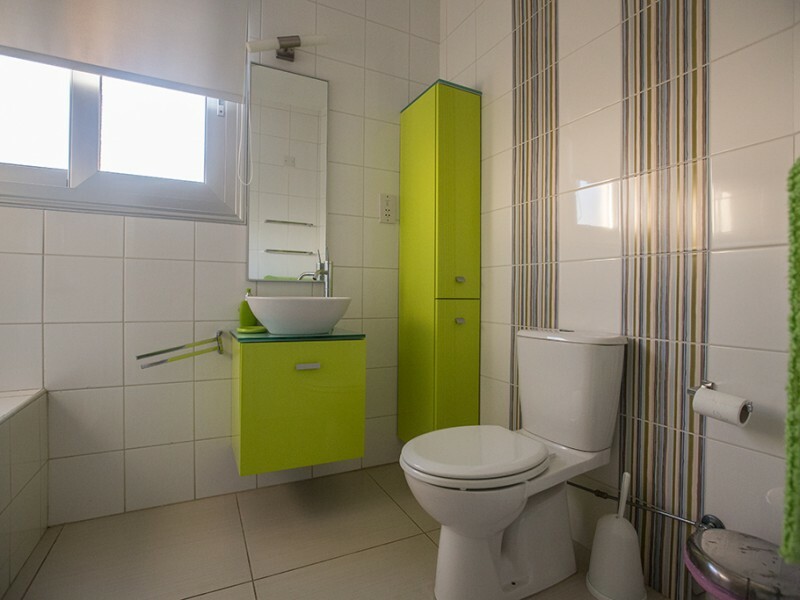 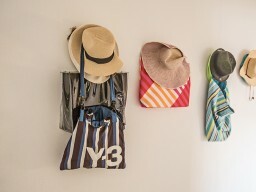 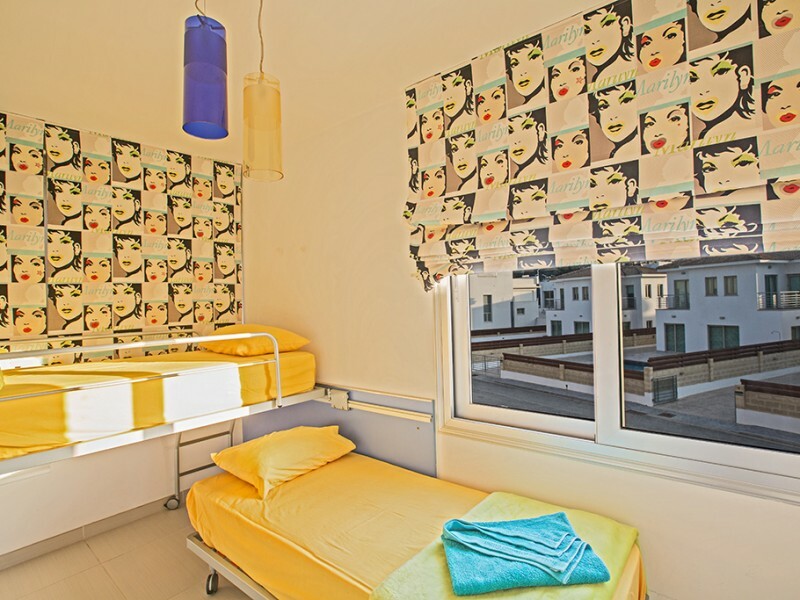 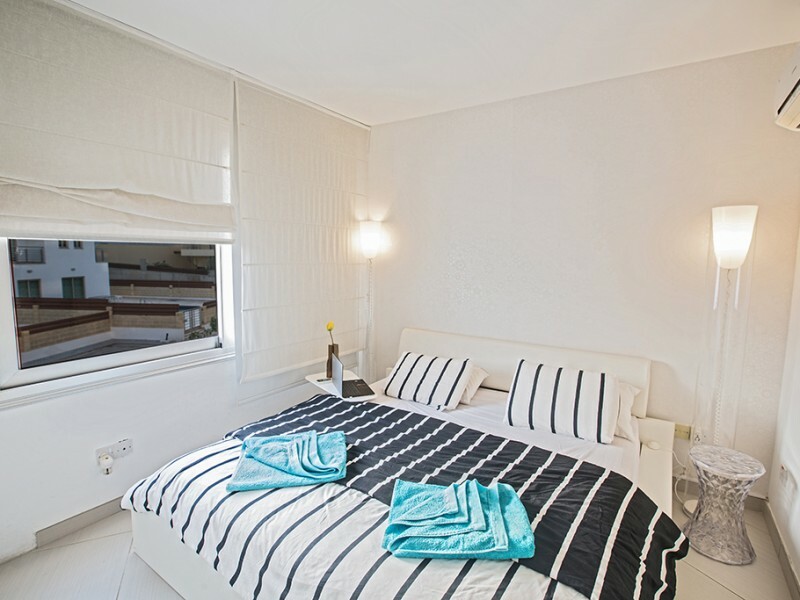 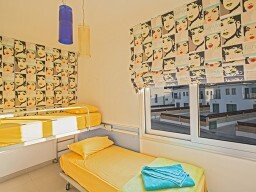 The apartments are three spacious bedrooms, one with a separate bathroom with shower. In the master bedroom - a double bed, the other two - two single beds in each, there is a common bathroom with a bathtub. 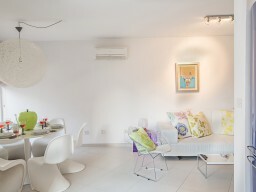 The apartments free Wi-Fi, satellite TV (mostly English) and full air conditioning. 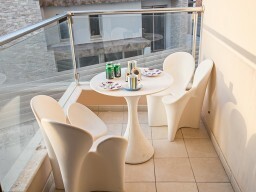 The apartment is located close to the central beach.